What is the name of the dress worn by this jaded,debauched individual(who claims, unlike the Scots, he does wear undergarments)? Many of you did go for the answer..Gho, the tradition dress of the Bhutanese menfolk. Incidentally, the sanskrit word for cow is the same as that of this dress and cow is also the nickname of the model seen in the picture. Quite a coincidence! 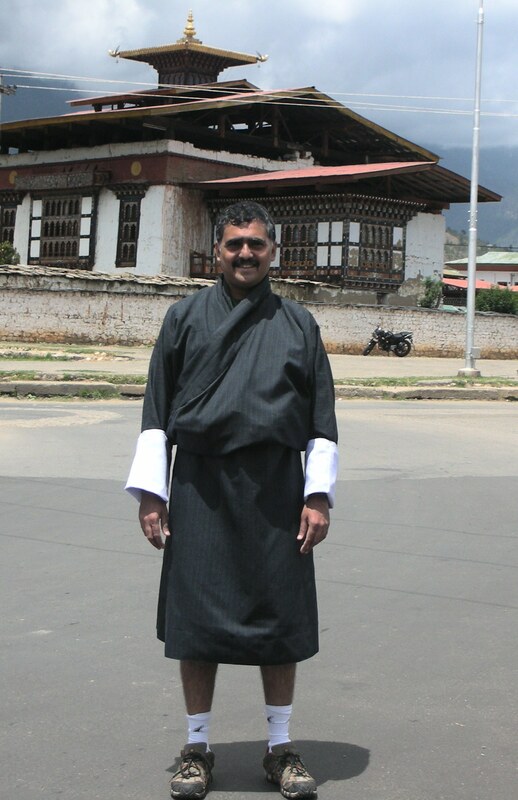 He is wearing the Gho – the Bhitanese national dress for men. Costume worn by the inhabitants of Bhutan.